New project from creators of the legendary Carnage universe will tell players the story of the Necklace of the Worlds - a universe of the cult game Ex.Gods. Non-linear plot, a heydey of alternative Dark Ages and heroic fantasy, will invite player to embark on a quest to find Three Gods that accidentally destroyed creators of the heroes' native world - the Titans. Swapping avatars and travelling around the worlds, player will unravel the mystery of the Three, find a key to the Necklace, and perhaps become a god. 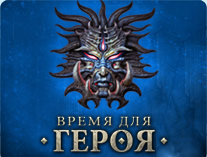 The game is available on the project's official website http://www.timetobehero.com and gaming platforms Vkontakte, Facebook, and Odnoklassniki. Unique combat system Match3 with RPG elements! Constantly expanding Avatar collection for your hero! Chests with ancient treasures and powerful artifacts! Real adversaries from all over the world! Flexible Rating system and the best reward for worthy warriors! In the new project 'Alterant', the events are set in a parallel universe where players fight for immortality and the reign over Heavens and all earthly creatures! Guide your soul through numerous embodiments (avatars), from splendid Amazons to mighty Demons of Hell, use magic and skills of your avatars to achieve glory and athanasia. 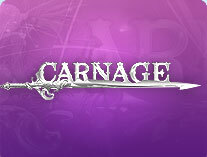 —multiplayer online role play game in match3 genre. It is already represented in all Russian social networks, and web-site www.nebogame.com. Fantasy Island, soaring in heavens, where you can find Tree, Mages’ School, Cave, Arena and Store—all these buildings belong to players Guardians. Three cults—Valor, Joy and Love are in struggle with Hate, Fear and Suffering. Main difference from other games of this kind—unique gameplay: you need to match stones, sculls and ankhs and use different spells. 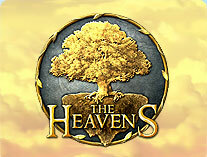 «The Heavens» was launched in 2010, but number of players exceeds 15 million players. Project is preparing for international market. —one of the earliest projects. MMORPG with 8 years history and 10 million army of users. This is a social-oriented game: you can communicate here, find new friends and mentors, you can find worthy use of your abilities: become Healer, Blacksmith or Priest. And also you can have some fun—take a shot at Tavern, test your luck in the Casino, try your knowledge at Quiz, go Fishing, and even... get married. Call you friends, they will be very useful—God is always on the side of big battalions. Recently, after large number of players requests, old-school version of Carnage was launched with the same rules as in 2009! 2reallife is a company developing and publishing browser online games, applications for social networks and mobile devices games. Company exists on Russian market since 2004. Success of the company is build on the basement of professional team, that spends all energy in company development. We have young collective with average employee age—27 years. Our games are played all over the world. Feel free to contact us with service questions, partnership proposals, or media inquiries info@2reallife.com. Want to join us—drop CV to hr@2reallife.com.